This dress just proves that timeless can still be stylish! The dotted print and ruffled sleeves + hem make for a simple, yet flirty look. 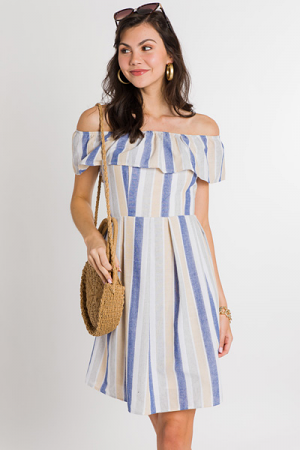 Elastic off the shoulder with a (detachable) belt. 100% rayon and fully lined.